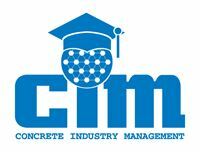 The Concrete Industry Management (CIM) program – a business intensive program that awards students with a four-year Bachelor of Science degree in Concrete Industry Management – is pleased to announce the launch of its new website aimed at recruiting new students and showcasing the CIM program and the successes of the four university programs. From the program’s first two students in 1996 to the hundreds of graduates today, the CIM program continues to evolve and the website was updated to represent the CIM’s forward-thinking approach. Featuring responsive web design with a clean, uncluttered look and improved functionality, the website contains new features, including individual program university news pages, MBA program information and more intuitive navigation. “We are excited to launch a new CIM website,” said Brian Gallagher, Chairman of the CIM Marketing Committee. “The CIM National Steering Committee wanted to provide a new website that meets the needs of our various stakeholders. We developed a new site that provides information and resources for prospective students, guidance counselors, current students, and concrete industry professionals.” The new CIM website also features a responsive design which allows visitors with tablets, phones and other devices to get an optimum experience.To learn more about the CIM program and to see the new website, visit www.concretedegree.com. Receiving tremendous support from the concrete industry, the CIM program was the first of its kind inUnited States– a four-year Bachelor of Science degree in Concrete Industry Management. The need for such a program was recognized in 1994 and was put into action by the concrete industry. The end-result was a partnership between the concrete industry and Middle Tennessee State University (MTSU) to develop the CIM program, implementing it with its first two students in 1996. Available at MTSU, California State University, Chico, the New Jersey Institute of Technology, and Texas State University, the program has been successful for both the industry and the graduates.